Every now and again, I go through times where I feel like it’s all too hard; that it would be easier to just throw in the towel. Perhaps you feel the same at times, too. In these scenarios, I like to remind myself of just how far people have come to reach success. I get inspired by reading stories of entrepreneurs, inventors and leaders and how they overcame many failures and rejections, so I’ve put together 10 famous personalities who truly inspire me and I’m sure they will inspire you too — no matter your journey. Mind you, these people weren’t born with a silver spoon in their mouth (except for Franklin Roosevelt). First on the list is Thomas Edison. Have you ever felt discouraged just because you failed, maybe once or twice? Did your teacher called you stupid just because you can’t answer a simple math problem? Got fired from your job? Well, you’re not alone! He even stopped his formal education at the age of 12. Not only that, he also failed more or less a thousand times with his inventions. Likewise, he even got fired from his first two jobs — after leaking acid on to his boss’ desk, but he didn’t give up and he didn’t let those failures drag him down. Instead, he ignored those criticisms and despite being almost penniless, he turned out to be the most successful inventor of his generation. Having a great influence from motion picture cameras to creating the light bulb. Come to think of it, if he did give up, you’ll probably be using candles up to now. If you’re one of those people who uses the excuse, “I’m too old, there’s no way I can be successful anymore.” Think again. It’s never too late for success. A great example of this would be, Colonel Sanders. If you’re not familiar who this guy is, he’s just the founder of the ever famous Kentucky Fried Chicken (KFC). One of the biggest fast food corporations worldwide. Though, it wasn’t an instant success. Colonel Harland Sanders started his dream at 65 years old. For most, this would be the time to retire and enjoy the remaining years of their lives. However, Colonel Sanders turned this the other way around. After getting his retirement benefits, he used his first social security check, amounting to one hundred and five dollars, to start a business (once again) — the start of his journey. Most people would complain after receiving this amount. Not him, though. He believed that restaurant owners would love his original fried chicken recipe and he’d get a small percentage once the sales increase. It wasn’t an easy job. He drove around Kentucky, knocking on every door, sleeping inside his car, and to look formal, he always wore his signature white suit. Say, are you a college dropout? Steve Jobs, the founder of Apple didn’t get his college diploma either, but this didn’t stop him from dreaming big. He even took his greatest failures and transformed them into his greatest success. At a young age of 19, Steve Jobs, together with his friend Dan Kottke decided to drop out of Reed College and moved to India instead. What’s their reason? To find Philosophical Enlightenment. 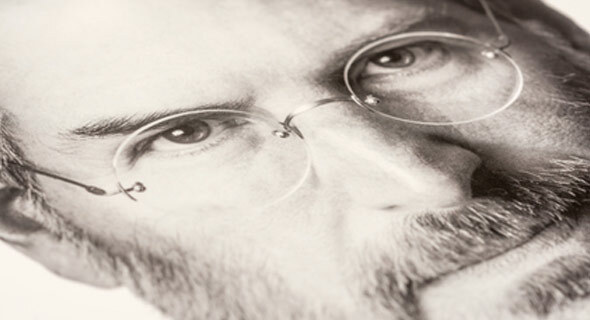 A stage of Jobs’ life where he learned the power of intuition– something that greatly influenced his works. He was a visionary perfectionist that most people think highly of him during his early years. However, at the age of 30, his own company (Apple Inc.) decided to fire him. Can you imagine the company you’ve built from scratch, turning his back against you, leaving you humiliated, depressed, and most importantly, unemployed? Well, Steve Jobs tried to overcome that and he succeeded. 11 years after Apple decided to fire him, the company was on the verge of bankruptcy. A time where Microsoft was soaring high. Being the brain behind Apple Inc., the company was desperate and crawled back to Steve Jobs — asking if he could consider coming back. Basically, he took this offer and made Apple one of the most leading pioneers when it comes to new gadgets and technologies. Laziness is not an indication that you’re not a genius, or you’ll never become successful. Just look at Einstein! Even though he’s considered as an epitome of genius back then, he was the exact opposite. His communication skills didn’t even develop until he was four. His parents even thought that something was awfully wrong with him. Likewise, from elementary to college, his teachers and professors labeled him as insubordinate, sloppy, and lazy. They believed that he’ll never become successful. However, what appeared to be laziness in school, was just really boredom. He’s not the type who’d memorize the facts written in the book. Rather, he preferred to analyze things, such as: why is the sky blue? Why does the needle of a compass point in a single way? Unfortunately, these weren’t taught in school. So, how did he become a genius? Well, he didn’t let his failures, shortcomings, or flaws overshadow his potentials. At the age of 11, he became friends with Max Talmud. A 21 year old medical student who introduced Einstein to several books about science and philosophy. 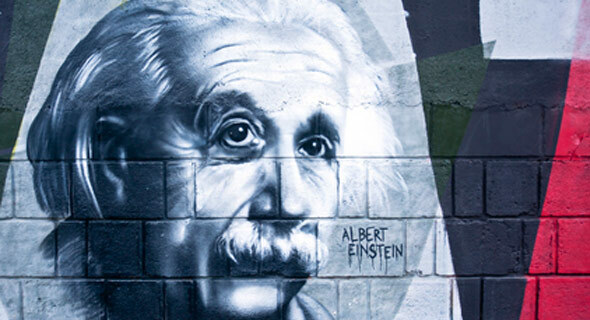 Einstein flourished in this learning environment, and before Max knew it, Einstein has already surpassed what he could teach the young Einstein. Don’t let your failures bring you down. Don’t be a quitter, persistence is the key! And that’s what Lincoln did. If you’re not aware, this great man encountered a lot of failures. Failure after failure. In fact, it even seemed like it was endless! He could’ve quit many times, but he chose not to. The result, he became one of the greatest presidents of all time. Though, before becoming a president, he encountered several failures. Some of these are: his mother died; his business failed; he tried to run for state legislature and he lost; he got fired from his job; he wanted to go to law school, but he couldn’t even get in; he tried starting a business and borrowed some money from his friends but at the end of the year, he faced bankruptcy. Can you imagine how tough it was for him? Though, he never gave up. Around 1834, he tried running for state legislature again and he won this time. Likewise, a year after, he got engaged and was about to be married. Unfortunately, it seemed like lady luck fell asleep once again. His sweetheart died and Abe had a total nervous breakdown and was bed ridden for six months. After that, he tried entering politics and faced defeat for a number of times. Still, it didn’t make him lose hope, and in 1860 he was elected president of the US. Thus, his legacy lives on– a man who changed a nation despite many adversities and failures. Your failures should be your stepping stone to greatness. It doesn’t matter if you’re poor, your parents are irresponsible, you’ve been sexually abused, or people judged you because of your skin color. Don’t let these things bring you down. Even the most powerful entrepreneurs faced the same dilemma, and Oprah Winfrey is a living example. The first African-American billionaire. Most of us had a wonderful childhood; but not Oprah. When she was 9, she’d been sexually abused by her cousins and even the friends of her mom. At the age of 14, she got pregnant and her son died during infancy. However, she developed an oracle gift in church, and in 1971, she entered Tennessee State University. Landing her first job in radio and television broadcasting. She got her first position as an evening news anchor for Baltimore WJZ-TV, but got fired shortly. Not because she doesn’t have the talent, but because she’s “unfit” for TV. For her, this experience was humiliating and embarrassing. She even got sexually harassed. Although, she didn’t allow these obstacles, trials, and challenges to defeat her. She converted these misfortunes into great success. Oprah became a talk show host for AM Chicago, and she managed to make the ratings sky rocket in just a month; and in 1986, The Oprah Winfrey Show came to life. Back then, most talk show hosts concentrate on trashy topics. On the other hand, Oprah focused on the middle class, and self-help topics. Her witty humor and warm welcome made her gain the sympathy of the crowd. Her talent as a talk show host, combined with her entrepreneurial skills brought her a net worth of more or less 2.9 billion dollars. Failure isn’t that bad. In fact, you could even learn from it. Therefore, it is something that we should embrace. Even Henry Ford failed- he failed a lot, but he utilized what he learned from these failures and built a successful company that’s still going strong even today. This man viewed failure as an opportunity to begin (and try) again, only more intelligently this time. He even managed to overcome significant setbacks before arriving at the winning formula that made him reign in the automobile industry today. He faced bankruptcy before launching Ford Motor Company. Likewise, he faced several failures before his first Model T was ever made. Despite failing as a business man, he was determined to become successful. With that, through persistence and determination, he became one of the richest entrepreneurs globally. Do you know anyone who’s richer than the Queen of England? It’s no other than J.K. Rowling, the famous author of the series, Harry Potter– having a net worth that’s over $1 billion. No, she wasn’t born with a silver spoon in her mouth. She’s no better than you during her early years. In fact, there was a time that she lived in an Edinburgh apartment that was greatly infested with rats! She’s a single mother who struggled just to make ends meet. Basically, you could say that her life was very miserable. Being unemployed, she even had to juggle between a baby and her typewriter when she was writing her first book. Moreover, she didn’t even have the privilege to do this in the comforts of her home, but in a cafe. Even the series that we love today? The first book, Harry Potter and the Philosopher’s Stone faced twelve rejections before it managed to become a successful hit. However, her determination took her from rags to riches. She’s a great example that anyone could attain great success even against all odds. Are you afraid of committing failures? Why? Just because you think it’s impossible, it doesn’t imply that it really is. In fact, you’ll never know until you try. That’s what Franklin Roosevelt believed in. Before becoming the 32nd president of the United States, Teddy Roosevelt faced many hardships in life. Despite the fact that he was born into a life of wealth and extreme privilege, that didn’t make things easier for him. Yes, he managed to graduate in a prestigious school and entered a life of politics in 1910. However, during the fateful year of 1921, he was infected with polio. His body was nearly paralyzed and he lost his legs during the battle. With this, he went through a period of extreme depression, but he knew that he shouldn’t give up. In 1928, even being confined in a wheelchair he still tried to re-enter politics and became the president of the United States for 4 terms. Franklin Roosevelt experienced a spiritual healing during the years of his illness. Before, he used to be arrogant and insensitive. However, after that incident, he became a warmhearted person with a deeper philosophy in life. Instead of letting his impairment make him appear weak, he emerged as a better person. You can’t deny the fact that sometimes, it feels like things aren’t working out the way you want it. That the whole universe is against you. That your life is a complete mess, and your only wish is to experience more success. Walt Disney felt the same. Life wasn’t easy for him. As a matter of fact, Walt Disney experienced so many failures, but that didn’t even tempt him to give up. You think that Walt Disney has a very wild imagination? Well, he was fired as a newspaper editor before; and according to his boss, he lacked imagination and his ideas are no good. Also, he tried to start a business, but faced bankruptcy before it even gained success. He was literally and figuratively broke, all he had was his dreams and aspirations. Though, he never got tired and continued to try new ideas until he reached success; and once it did, it was overwhelming. He managed to win 22 Academy Awards and established the first Disneyland in California around 1955. Today, the Walt Disney Company rakes in billions of dollars annually from movies, theme parks, and merchandise around the world. I hope that these famous personalities inspired you to strive harder and aim higher. Despite several failures and circumstances, it doesn’t mean that success would be out of reach. Hence, with deliberate determination, anything is possible. Tell me, what do you want in life? Perhaps for now, it seems virtually impossible to attain that goal, but keep in mind that you’re not alone. Most successful individuals faced the same struggles before they reached the peak of success. We all know that overcoming failures is not a piece of cake. Though, these 10 personalities faced an impossible battle and they conquered. So think again!